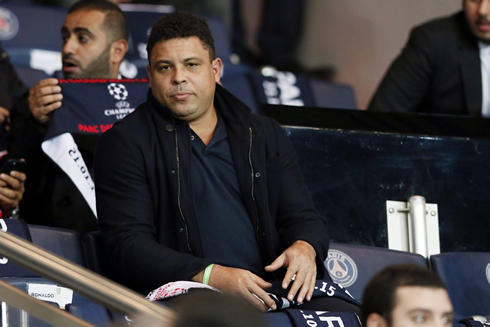 ﻿ PSG 0-0 Real Madrid. All in all, not a bad result! 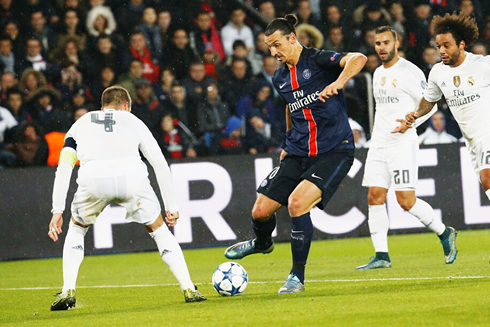 21.10.2015 » PSG 0-0 Real Madrid. All in all, not a bad result! Real Madrid left Paris with a sort of a diplomatic draw against PSG, sharing 1 point with their group rivals and maintaining the top spot in the UEFA Champions League Group A. The two teams will meet again on the 3rd of November, this time at the Santiago Bernabéu. Real Madrid had a tough challenge ahead in Paris this Wednesday night against PSG, as they were set to face one of the candidates to win the UEFA Champions League this season and in a stage of the campaign where the injury list already includes several usual starters. Nevertheless, the Merengues presented a strong block and Keylor Navas managed to complete yet another clean sheet as Real Madrid went on to pull off a goalless draw. Upfront, Cristiano Ronaldo certainly missed his old partners in crime, as both Karim Benzema and Gareth Bale were sidelined for this clash due to injury. With tonight's draw, Real Madrid remains first in Group A but with the exact same points as their direct rivals PSG (7). Given the injury ridden squad, Real Madrid will likely be happy with the result, following their 0-0 draw with PSG in Paris tonight. With the likes of Pepe, Gareth Bale, James Rodriguez, Karim Benzema and Dani Carvajal all missing through injury, Madrid were clear underdogs tonight against a star studded PSG that also boasted former Real Madrid player Angel Di Maria in its ranks. 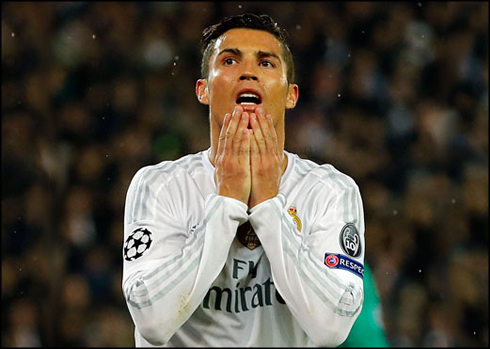 Though Real Madrid played relatively well without their stars, chances were few and far between, with Ronaldo having the best chance of the game in the second half, a misplaced volley that went just wide of the post. The Merengues were again quite impressive in defence, holding the frontline of Edison Cavani and Zlatan Ibrahimovic at bay. It's been a huge part of Rafa Benitez's success this season and their organisation at the back showed again today. Despite the 0-0 score, it was an exciting game with crisp and tidy buildup on both sides. Casemiro was again solid in the center of the park, breaking up play when needed and playing the ball forward quickly. Still, it was apparent that Benítez's men were missing some quality in the final third. The draw will keep PSG and Real Madrid toe on toe on the top of Group A. The return match will take place in Spain, with a Madrid win almost guaranteeing progress to the knockout rounds. By then, most of the starters should be back as well. Next up for Madrid is a very important matchup with Celta Vigo, with La Liga's leadership at stake. 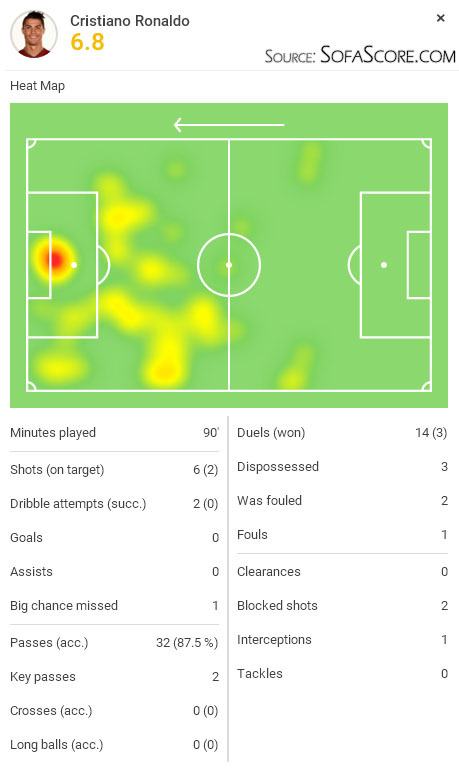 - Casemiro is having a fantastic season so far and looking very dependable. - Isco seems to have taken a step back, being far too indecisive on the ball. - Ronaldo is still struggling with his finishing somewhat, a few years ago he would have buried that chance he had in the second half. Attackers: Lucas Vázquez, Jesé Rodríguez, Cristiano Ronaldo. Cristiano Ronaldo next game will be for Real Madrid on the 24th of October of 2015, against Celta de Vigo. You can watch Juventus live stream, Celta de Vigo vs Real Madrid, Molde vs Celtic, Liverpool vs Rubin Kazan, Anderlecht vs Tottenham, and Qabala vs Borussia Dortmund, all matches delivered in our live streaming game pages.